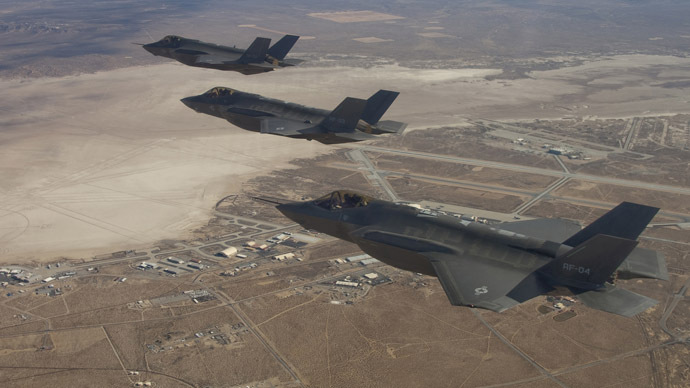 As the price of the Pentagon’s most expensive weapons endeavor ever soars even further, critics are calling into question the cost and capabilities of the F-35 Joint Strike Fighter program. When all is said and done, the United States Department of Defense is expected to spend over $1 trillion on acquiring a fleet of the fancy stealth jets. But while concerns have been raised repeatedly regarding the program for years now, some new reports suggest that the military might soon sign-on to buy other state-of-the-art aircraft. 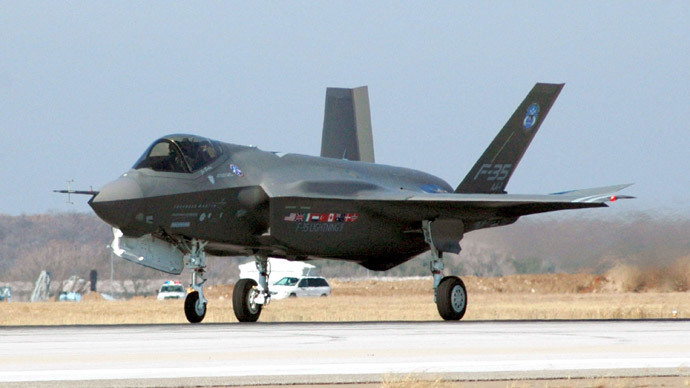 On Friday this week, Military.com reported that the US Navy has not only decided to drop the number of Lockheed Martin-made F-35s it plans on purchasing from 69 to 36, but that 22 new EA-18G Growlers built by Boeing have been added to a list of unfunded priorities. According to their report, since at least last summer Boeing has been urging the Navy to buy more F/A-18 Super Hornets and Growlers as concerns continue to emerge about the F-35. As RT reported extensively in the past, the F-35 program has been anything but a success for the DOD thus far — just last month, in fact, it was found out that ongoing software problems were going to push delivery of the Joint Fighter fleet even further behind schedule. But now in addition to the continuously increasing costs, the F-35's actual ability to stealthily soar through the sky is being called into question. Mike Gibbons is the vice president for Boeing’s Super Hornet and Growler programs, and has good reason to talk down the F-35s—after all, less money to Lockheed Martin likely means more for his firm. Regardless, Gibbons told Osborn and Hoffman that the F-35 is no longer as advanced of a stealth craft as once claimed, and is not as effective as the Growler when it comes to countering a wide spectrum of air defense systems. "The density of the threat is getting more complex and more difficult. The electromagnetic spectrum is getting more complex and more difficult and requires more of what the Growler provides in electronic attack and electronic awareness. Only the Growler has this capability," Gibbons told the website. 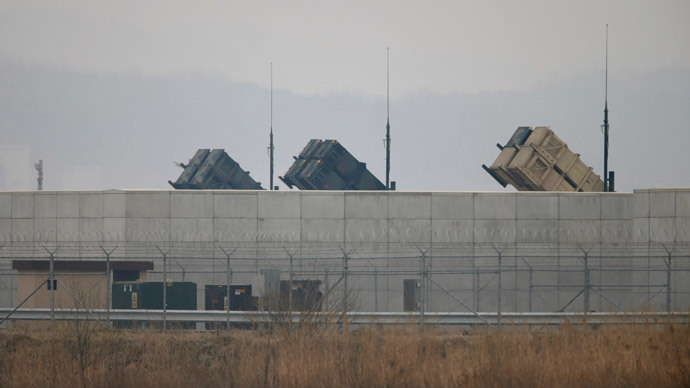 Russia and China, Gibbons added, have developed air defense systems that put the F-35’s stealth technology to the test. And if those capabilities should improve, then the Pentagon’s widely-touted weapons program may be no match for the offensive capabilities of foreign militaries. Advocates for Growlers say that those aircraft can outsmart some of that stealth-defying technology, but the ability to actually stay hidden may soon be slipping away from the DOD altogether. "[Stealth] is needed for what we have in the future for at least 10 years out there and there is nothing magic about that decade," added Chief Naval Officer Adm. Jonathan Greenert. "But I think we need to look beyond that. So to me, I think it's a combination of having aircraft that have stealth but also aircraft that can suppress other forms of radio frequency electromagnetic emissions so that we can get in." 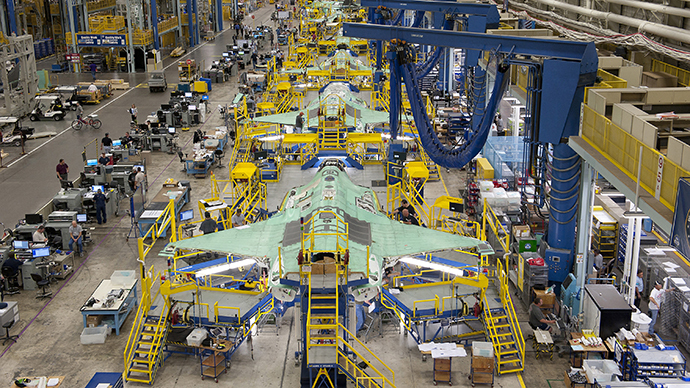 But as developers continue to strive towards perfecting the F-35s, other problems aren’t exactly disappearing. RT reported last month that a study from the US Government Accountability Office had determined recently that the estimated acquisition cost of the F-35 fleet had dropped by around $11.5 billion during the last year. 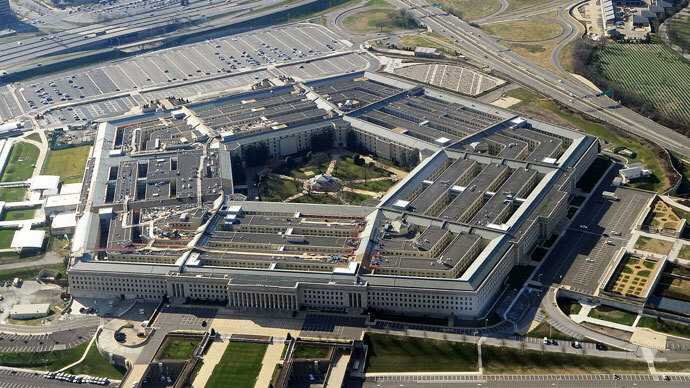 Just last week, however, the Pentagon published its latest Selected Acquisition Reports, and in it acknowledged that the price of the program had actually increased by about $7.4 billion. On Friday, former Government Accountability Office employee Winslow Wheeler wrote for CounterPunch.org that the latest report is a “major embarrassment” to the GAO given that the group’s report from last month made claims quite to the contrary. “In truth, the future of the F-35 program remains clouded, and most cloudy of all is the ultimate unit cost of the aircraft and the impact of that cost, as its reality unfolds, on existing and future buyers,” Wheeler wrote. 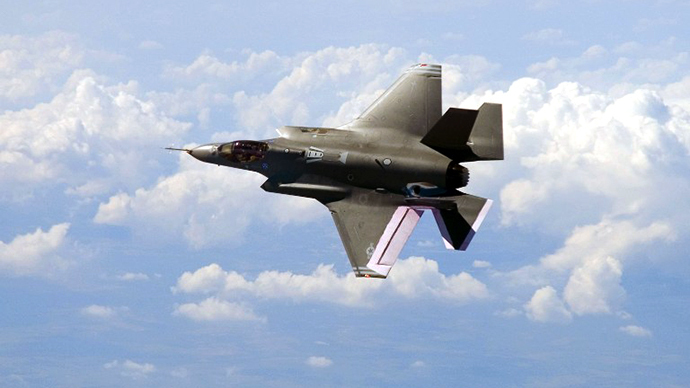 Others, however, have suggested that the number of future buyers may soon shrink as well: on Thursday this week, the Australian military was blasted in a harshly worded op-ed published in the Brisbane Times who condemned efforts to acquire F-35 for down under.